Infographic design elements: super set in 3 color schemes. Fully editable vector saved as EPS-10, file contains objects with transparency .. This set includes: process charts, timelines, work flow graphics, skill level ratings The color scheme can be changed to anything to match .. SPEECH INFOGRAPHIC This is a set of infographic elements Templates & Vector Kits To Design Your Own Infographic The color scheme used ..
Business Infographics fully editable in Adobe Illustrator Cs The two main files are editable in Adobe Illustrator first is EPS file and the other ..
Modern infographic option banner with 3d white abstract round paper ribbons on grey background in two color versions. Vector. Can be used ..
Set of 4 infographic concept, vector illustrations of gears and head, on a light blue background. Package include EPS 10, Illustrator AI files .. 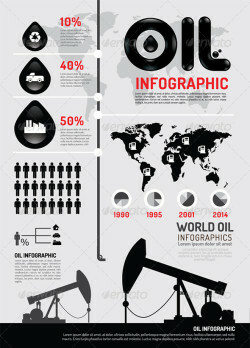 This is a huge template pack of infographic elements: charts, graphics, shapes, icons etc.. The file is created in order to be used by everyone, ..
Set of different groups of infographic elements, which can be useful at any work. Package contains layered EPS and AI files and txt. help-file. ..